Willenhall 3000 Series Locking Hookbolt. Hook engages automatically and is operated by lever handle from either side. Locked from the inside by a snib which prevents the lever from moving. 8mm spindle. 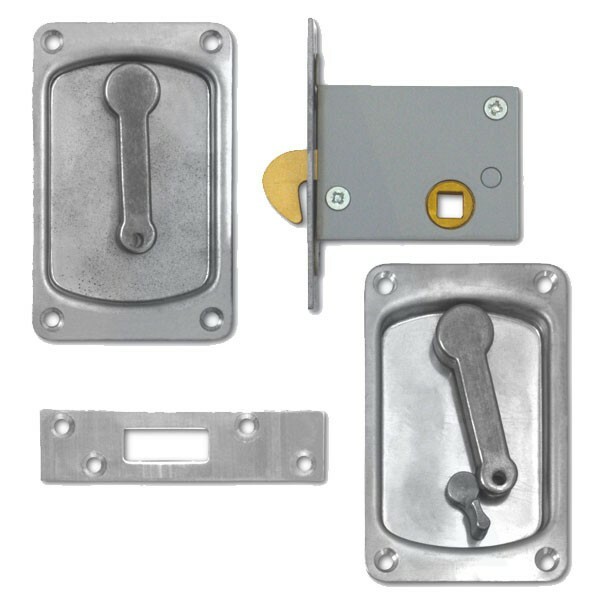 Supplied with flush fitting plates.